If you’re wondering how a top dentist in NYC can help you with your missing teeth, then you may be interested in dental bridges. Missing teeth can affect the appearance of your smile, as well as the function of your bite and the alignment of the surrounding teeth. Bridges provide an excellent solution for this common dental issue. Bridges are used to replace missing teeth by attaching crowns to the adjacent teeth to literally bridge the gap. Your dentist will modify the teeth on either side of the missing tooth so that they can each wear a crown. Your dentist will then take imprints of your teeth, and the bridge will be designed in a shape and color to fit with and match your existing teeth. To see one of the best dentists in New York for your dental implants or dental bridges in NYC , look no further than Park 56 Dental. We work with most insurance plans, and our dentists have over 100 years of combined experience. To make your appointment, call us today at (646) 783-3529. The best dentist provides a wide range of cosmetic dentistry procedures to treat tooth and gum imperfections. If you suffer from chipped, misaligned, or discolored teeth, ask your dentist office about your cosmetic dental options. If you want to improve your smile, you are not alone. More and more people are visiting the best dentist to find out how they can correct flaws in their smiles. Invisalign is one of the most popular procedures. These clear braces are one of the most effective and affordable ways to straighten your teeth without almost anyone knowing. If you have more minor problems with your tooth alignment, your dentist may recommend veneers. Veneers are thin, tooth-colored sheaths that fit precisely over the front of teeth, masking any imperfections. Veneers are also ideal for chipped or discolored teeth. If your teeth have become dark or yellow due to age, you can also invest in teeth whitening. Finally, if you are missing teeth, ask your dentist about a smile restoration. 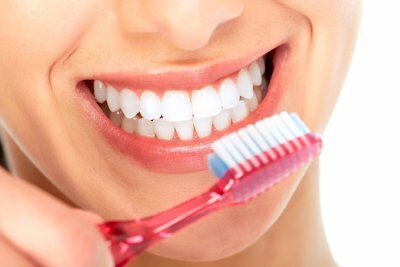 Find out everything you need to know about cosmetic dentistry straight from the best dentist serving NYC. Call Park 56 Dental at (646) 783-3529 to learn about our available cosmetic procedures. 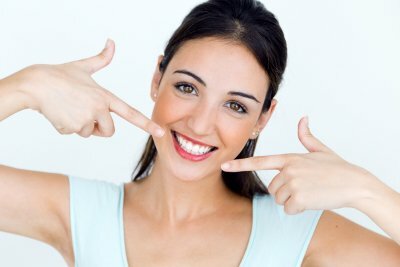 The top dentists in NYC make use of various techniques and materials that can solve your dental problems in an aesthetically pleasing manner. Watch this video for a look at composite fillings. Composite fillings are popular because of their ability to match the color of your teeth. These fillings resemble your enamel and allow you to enjoy a natural looking smile, even if your cavities are near the gum line or in another visible area. It is important to note that a different type of filling may be better suited for larger cavities or those that are in prime chewing areas. Park 56 Dental is proud to be composed of some of the best dentists in New York. In addition to composite dental fillings, we also offer veneers and dental implants in NYC. Feel free to visit our website or give us a call at (646) 783-3529 for more information.